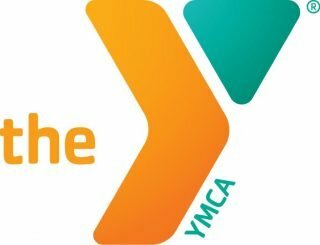 YMCA – Our Cause: At the Y, strengthening community is our cause. We believe that lasting personal and social change can only come about when we all work together to invest in our kids, our health and our neighbors. That’s why we focus our work in three areas: youth development, healthy living and social responsibility. We believe all children have potential and should have the opportunity to discover who they are, express themselves, and be nurtured in all their possibility. families need all the support they can get to nurture the potential of youth. That’s why child care and early learning programs at the Y focus on holistically nurturing child development by providing a safe and healthy place to learn foundational skills, develop healthy trusting relationships, and build self-reliance through the Y values of caring, honesty, respect and responsibility. The Y is proud to be a collaborative community partner ensuring families have high quality and affordable child care and preschool programs available to them. You are welcome any time, scheduled or unscheduled, to come and tour any of locations and visit your child. The Mahaska Early Learning Program is a licensed Child Care Center & Preschool through the Iowa Department of Human Services. The DHS/Childcare Licensing Standards and Procedures and DHS Licensing Rules can be found here. Our DHS Licensing Consultant is Jill Seibert, Child Care Center Licensing Consultant, Wapello County DHS Office, 641.684.3949. The Mahaska County YMCA participates in the USDA Child and Adult Care Food Program (CACFP). CACFP is a nutrition education and meal reimbursement program helping providers serve nutritious and safely prepared meals and snacks to children in child care settings thus playing a vital role in improving the quality of child care. Each day, 3.2 million children receive nutritious meals and snacks through CACFP. As a participating center, we are required to following USDA and Iowa policies regarding discrimination and civil rights.